A few years ago, I attended the media drive for the 2016 Hyundai Tucson. The message delivered by the company’s USA brass was simple – they needed to compete in a growing SUV market. Since then, they are indeed competing in this market-leading segment of automobiles with a three-vehicle approach. A fourth vehicle – the subcompact Kona – will join the current lineup later in 2018. Aside from the Kona and Tucson are a couple of larger SUVs Hyundai sells – the Santa Fe and the Santa Fe Sport. One of the questions that consumers ask is why these two distinct SUV products have the same name? 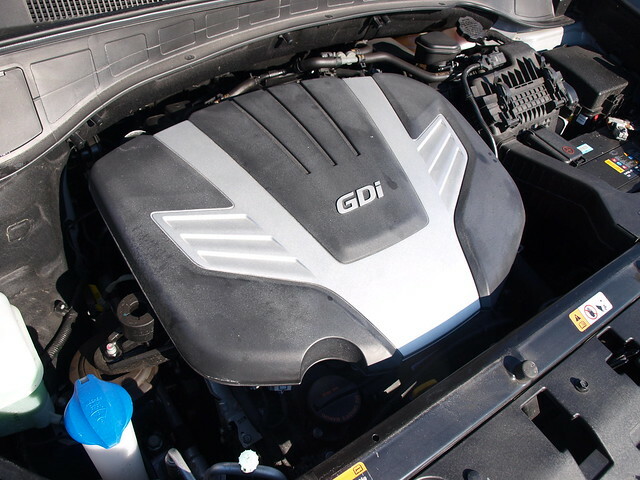 In the USA, we know the Sport is a two-row SUV with a four-cylinder engine lineup, including a punchy turbocharged engine at the top of the range. The larger model – simply called the Santa Fe – is a three-row model available only with a V6 engine. This all seems clear for USA consumers. Outside of this country is where the confusion between the two comes into play. In some countries, including Canada, the larger SUV is known as the Santa Fe XL. In other countries – Chile comes to mind here – it is called the Grande Santa Fe. To make things easier, some markets do not even sell the larger three-row version and simply call the two-row model the Santa Fe. A few weeks ago, I received an e-mail from Hyundai announcing that there will be a new Santa Fe debuting at the 88th Geneva International Motor Show in March. Considering this is the main spring European auto show, the vehicle that will appear inside PALEXPO is replacing the shorter of the two Santa Fes. Therefore, it will be simply called Santa Fe. This will bring up a ton of questions by the media scrum of the fate of the larger, three-row model. However, I keep reading (and hearing) of a rumor that…hang on…Victory & Reseda doesn’t publish any rumors on here! Let’s move on, shall we? The three-row Hyundai Santa Fe is a relevant vehicle to discuss. It is because there was a bump in sales for the mid-sized SUV market in 2017 – in particular, models with three rows of seating. The return to prominence of the family-sized SUV yields a very competitive set of entrants that offer their own set of competencies. Each one offers something a competitor might not feature on their vehicle. It makes shopping tough for families who want the space, seating, performance, and capability of a mid-sized SUV. Before any news comes from Geneva, let me tell you about the 2018 Hyundai Santa Fe Limited Ultimate AWD. Back in 2013, I had a chance to drive one. It came on the heels of replacing the similarly sized Hyundai Veracruz. The new generation model offered many improvements over the Veracruz to make it more competitive in this hotly contested segment. For 2017, the larger Santa Fe underwent a mid-cycle refresh towards making some improvements all around. 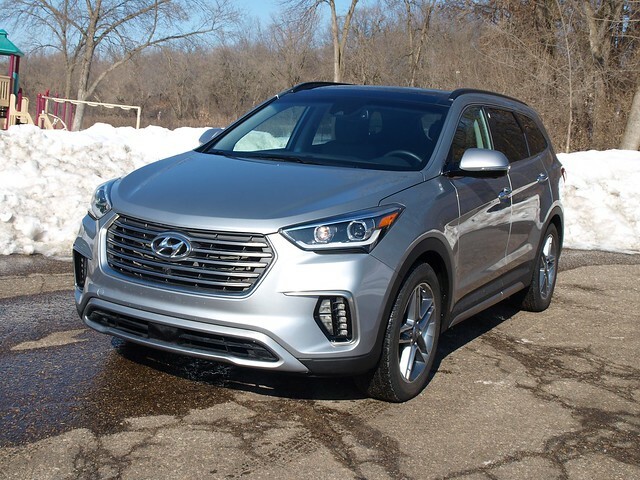 With a new grille, LED lighting, enhanced infotainment and telematics, and driver assistance technology on board, the Hyundai Santa Fe became a more competitive entrant in this growing class of family conveyances. My question is simple: how competitive is the big Santa Fe? One thing I learned about mid-sized SUVs over the years is how size brings about perceptions. It looks big; therefore, it should be safe for families. It is on a unit body construction; therefore, it should be secure. It has a V6 engine with close to 300 horsepower, that it would do the job of carrying more than five people on board, along with their stuff, and, maybe, tow something behind it. If the measuring tape is correct, the Santa Fe is about where the rest of the segment should be in terms of wheelbase, overall length, and so forth. Who is going to fret over the fact that the Ford Explorer is five inches longer than the Santa Fe? Some designers and engineers would argue that it does matter in terms of cargo space and legroom for second- and third-row passengers. To bring out a table to compare dimensions would be overkill for you. Instead, take it from an individual standpoint where you must go up to each vehicle, touch, feel, work a control or several, and make your own judgment. This is how you judge a vehicle such as the Hyundai Santa Fe as it would fit in your life. This intuitive approach helps to understand the vehicle even more. The three-row Santa Fe welcomes those who want to feel it, understand its personality, and how things simply work inside of it. With that said, the first thing I like about the Santa Fe is the size of the doors. They open big and wide. The rear ones are of interest, as they test the ability to put people in the third row. This was made easier, thanks to the Limited Ultimate example I worked with here. The second row Captain’s Chairs make it extremely easy for third-row occupants to take their seats. The lack of a middle seat helps to get leverage on entry and exit in the extreme back. The wide rear doors help in creating additional space to execute this sometimes very difficult maneuver. The rest of the Santa Fe’s exterior show some personality. It is not bland, nor is it over the top. But, you can certainly find one in a parking lot. When there are dozens of Ford Explorers, Jeep Grand Cherokees, and Toyota Highlanders out there, it is easy to spot the Santa Fe within seconds – even if it is a quarter-mile away. In the SUV game, that is a measurement of distinctiveness. What if there were dozens of Santa Fes out there? To answer that, one must look out back. They look sleek with its distinctive rear quarter glass and large overall glasshouse. The mid-cycle refresh helped matters to create more distinction within this competitive class. Overall, the Santa Fe is very handsome from front to rear. Step inside for a moment. First, forget that the interior came from the previous iteration of the Fluidic Sculpture design school. A once-over will reveal several truths about the Santa Fe’s cabin. It is highly functional, easy to read and operate, and you have controls that are logical and intuitive. This could describe half of its competitors, which should be an advantage on the Santa Fe. I mentioned the second- and third-row seats already. What about the driver and front seat passenger? Luckily, the Santa Fe big supportive chairs up front. They were made to keep you comfortable for your driving pleasure. The perforated leather is right to the touch – a heavy hide that feels durable. Out back, there is more than enough cargo space to make the IKEA run easy. Fold the rear two rows of seats down for maximum flat-packed haulage. Before I go on, I have a feeling that you may be wondering why I am doing this particular review in this manner. Why am I making these kinds of observations on here? Because, simply, customers want to know. I found that some potential consumers don’t care about minute specifications and other raw details that others take for granted. The look-touch-feel customer wants to know if it will do the job for them and their family. I get it. Numbers, specifications, audio systems, and all the “guy” stuff might not work for everyone. This is not exclusive to a single demographic, but for multiple demographics. Not everyone is a “car person.” Sometimes, we do these reviews and get feedback on how much you could care less about this aspect of the vehicle or that specification. What if I cut to the chase and tell you that the Hyundai Santa Fe is a great SUV for families? At that you point, you will be asking why. You see what we go through as automotive media people? Back to the review, I forgot to mention that there were improvements made in the Santa Fe’s infotainment system. You can now use the Blue Link telematics system, plus enable Apple CarPlay or Android Auto for smartphone connectivity with the large screen up in the center stack. Infinity pumps Clari-Fi infused sound around the cabin, making it a lovely place to be. Driving the Santa Fe is equally rather nice. It all starts with a lively – here the comes the numbers, folks – 3.3-liter V6 with 290 horsepower on tap. While some of its rivals tell you that they have more power and can return better fuel economy, they often feel a bit adequate when faced with pressure from the accelerator pedal. 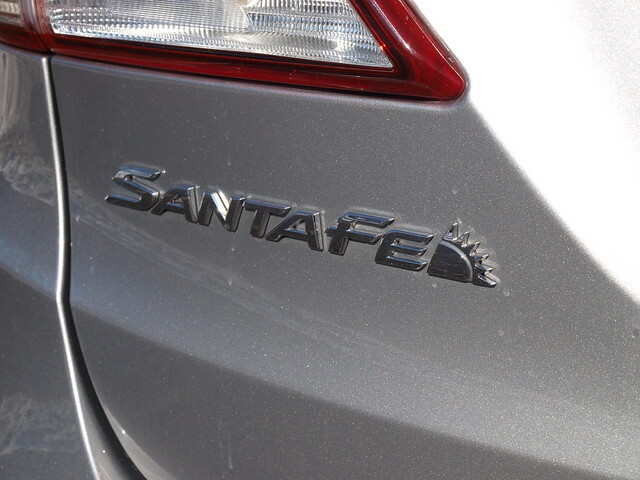 The Santa Fe offers smooth power. When you need to pass, it will do so without hesitation. When you want it to cruise – using the available Smart Cruise Control system – then, it will relax and let all the horses chill out for the drive. A six-speed automatic transmission facilitates that smooth power through its smooth gear changes onto an all-wheel-drive system, designed for stability and traction. It also returns better-than-average fuel economy – 21.9 MPG, to be exact, in my care. Where I believe you will love the Santa Fe the most is how it drives. It drives supreme. The ride quality is smooth, though bumps in the road are worked over effectively with great dampening and balance. It handles quite well, though some body roll may show up on tight maneuvers at higher-than-usual speeds. Winter traction needs are well received by its all-wheel-drive system. The Kumho Crugen tires that are shod on my tester seemed to do a good job in various situations. The steering system is responsive, and its turning radius is quite good for its size. On-center feel is controlled, but there is some play at the wheel in Normal mode. Sport does tighten it up a bit. Brakes are excellent with shorter stops than its competitors in normal and panic situations. It all sounds like a great vehicle, but how much will this cost you? The base price of a Hyundai Santa Fe SE with front-wheel drive is $30,850. For the all-wheel-drive version, add another $1,750 to your base price. 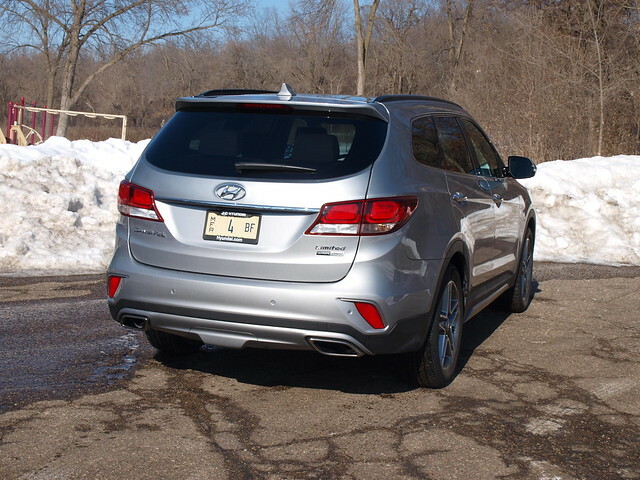 My fully-loaded Santa Fe Limited Ultimate with all-wheel drive and the Tech Package came to a sticker price of $44,380. Considering how many of its competitors have models that scaled up towards $50,000 and beyond, this is a relatively good value proposition. The value proposition alone is not the only reason why you should consider the big Hyundai Santa Fe three-row SUV. 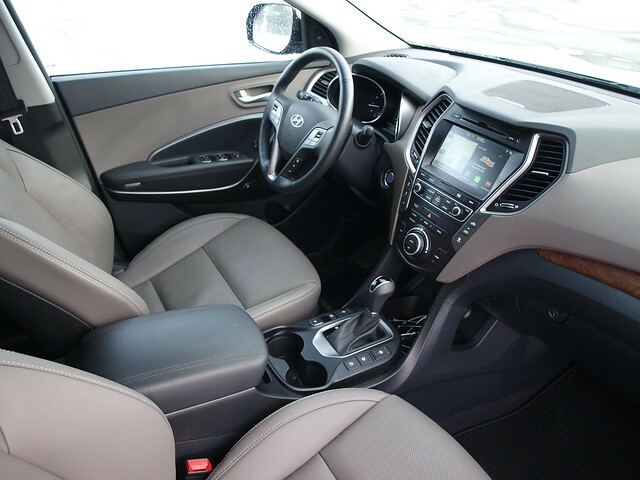 It is a solid all-around vehicle made for families that need the space and enjoys the ride. 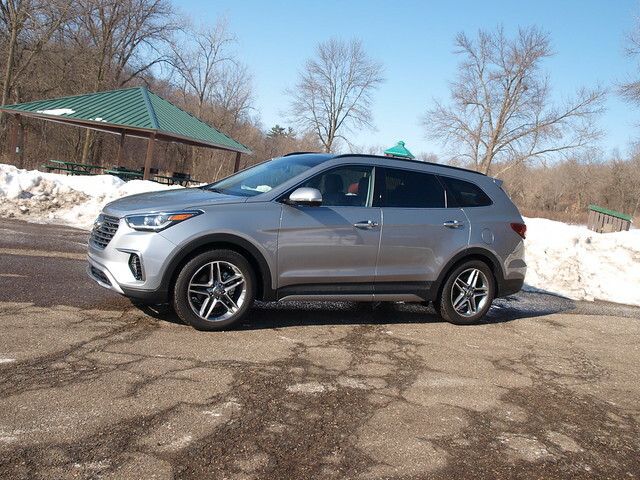 If you overthink the purchase or lease of a Santa Fe, then you will end up with something you might not be able to enjoy. The Santa Fe exudes one intangible that a lot of us may have forgotten about this three-row, mid-sized SUV – fun. Forgive this format of review that is more intuitive and touchy-feely, but sometimes you must guide the consumer without throwing numbers around. Still, the outcome always is the same – if it’s a good vehicle, it’s a good vehicle. Therefore, the Hyundai Santa Fe three-row mid-sized SUV…seriously, what’s in a name? No matter what you call this, it is still a fun vehicle for families.